Join ORPCA for a day of fun and learning on the track with your car and fellow motorsports enthusiasts. You can find all about our program on www.oregonpca.org select HP Drivers Ed from the Quick Links menu. 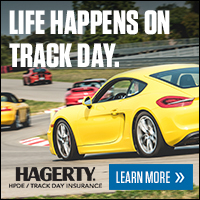 This event is a two day lapping event at the New Oregon Raceway Park track near Grass Valley Oregon. Registration is limited to experienced intermediate, Advanced, Instructors and Racers. No novices are allowed at this event as there will be no instruction available. This will be our first event at the venue so our instructors will need this event to learn the track. For those of you with RV's or tents come on out and camp with us. We are working on hotel accomodations for the event for those that prefer that. The closest motels are about 30 minutes away.